The National Oceanographic Library is a national resource for the UK marine and earth science community. 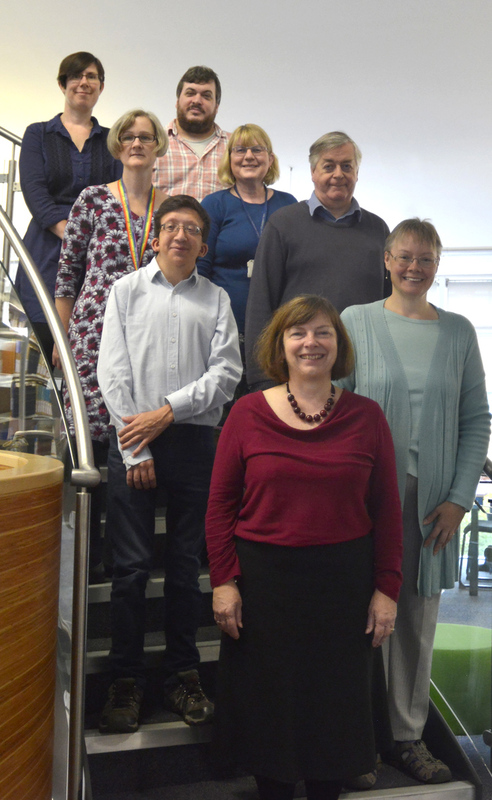 The National Oceanographic Library supports staff and students at the NOC, Ocean and Earth Science at the University of Southampton, the University of Southampton as a whole and the Natural Environment Council research libraries. The library is also open by appointment to the public. Please switch your phone to silent. Security control is based in the North wing on level 4 of the National Oceanography Centre. Guards are contactable on the internal extension number 26999. Security is operational 24hrs a day 365 days a year. The Security Guards at the National Oceanography Centre are trained first aiders. They can be contacted on the internal extension number 26999. Security control must be contacted if the emergency services have been called so that they can direct the ambulance or other service to the scene of the incident quickly and efficiently. Any lost property items found by staff in the Library are taken to the Security control room. The National Oceanographic Library is a public space within the building and follows the National Oceanography Centre Health and Safety Policy. There are two Assistive Technology Service workstations on level 4 of the Library which have a range of specialist software installed for users registered with Enabling Services. Bookable meeting and group study rooms are available on level 5 of the Library. You can use one of the touch screens located by each room to check if a room is free for immediate use and to book an available meeting room to use for the next hour. * To use the Smartboard functions you will need to borrow one of the dedicated Library laptops, please ask Library staff at the Help Desk and they will be pleased to issue it out to you. Guides explaining how to connect laptops to the screens and operate the equipment in each meeting room is available in the leaflet holder on the wall by the monitor. The Library houses a number of computers on levels 2 and 4 which are provided by iSolutions for University of Southampton student and staff use. You may login and use these machines, using your University of Southampton username and password. A range of software are installed on all these computers, including Microsoft Office and some statistics and graphics applications. If the desktop computers in the library are all occupied use this online map of workstations produced by our colleagues in iSolutions to find out the locations of other workstations at each campus. OES/NOCS PhD students should contact the NOCS ITG Help Desk for assistance. University of Southampton Undergraduate, Taught Post Graduate students and users of the Assistive Technology Service workstations should contact iSolutions for assistance. We have five loanable laptops for use in the library available on request from the Library HelpDesk. These Laptops may be borrowed by University of Southampton students and staff and NOCS Staff and NOCS PhD students. These laptops are compatible with the Smartboard boards in the Yellow, Blue and Green room. We have five loanable laptop stands available on request from the Library HelpDesk. We have two loanable phone chargers kits available on request from the Library HelpDesk. In addition there are 2 desktop A3 format scanners available with the desktop computers on level 2 of the Library. You can log in using your University of Southampton username and password. There is a cold water fountain in the Green Room on level 5 of the library. There are three wireless networks available for use when you are working in the Library. Eduroam - is available to all staff and Students of the University of Southampton (UoS) and more information on using Eduroam is available. It also provides internet access to members of other academic institutions participating in the service. Visitors should connect using the credentials from their home institution. WiFiNOCS - is available to OES staff and their PhD students and NOCS staff. NOCSGuest - is for all other external visitors and NOC tenants. The network key is on display in Reception or on the notice board outside the IT Helpdesk - 234/03. Visitors can self-register for a temporary Guest account lasting one day.